Tourism in Russia has seen rapid growth since the late Soviet times, first inner tourism and then international tourism as well. 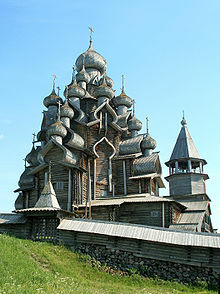 Rich cultural heritage and great natural variety place Russia among the most popular tourist destinations in the world. Not including Crimea, the country contains 23 UNESCO World Heritage Sites, while many more are on UNESCO's tentative lists. Major tourist routes in Russia include a travel around the Golden Ring of ancient cities, cruises on the big rivers including the Volga, and long journeys on the famous Trans-Siberian Railway. Diverse regions and ethnic cultures of Russia offer many different foods and souvenirs, and show a great variety of traditions, including Russian Maslenitsa, Tatar Sabantuy, or Siberian shamanist rituals. In 2013, Russia was visited by 33 million tourists, making it the ninth-most visited country in the world and the seventh-most visited in Europe. Central European Russia (e.g. Moscow, Saint Petersburg, Nizhny Novgorod, Kazan, etc.) is in the same climate zone as the Baltic states, Belarus, and northern Ukraine. The climate of south-west Russia (the lower Volga, and the area between the Black Sea and the Caspian Sea) is more arid, with hotter summers and shorter winters. The climate of Russia's Far East along the Pacific coast is similar to that of Hokkaido, Japan and north-east China. The most severe climate is in Siberia where winters are very cold and summers are very hot, and in Russia's Far North where temperatures are always low, with the exception of Murmansk, where the sea never freezes due to the influence of the warm Norwegian Current. The climate of Russia's Black Sea coast is subtropical. Contrary to popular belief, the climate of most popular tourist areas of Russia is not severe and is similar to that of Eastern Europe. The mean temperatures of December, January and February in Moscow are −4 °C (25 °F), −7 °C (19 °F), −6 °C (21 °F) respectively, but colder weather is common. Over the past few decades spells of extremely cold weather (below −20 °C/-4 °F) in central European Russia have become rare (in the winter 2016/2017, Moscow had temperatures below −20 °C only for three days), while the number of wintry days when the temperature is close to or slightly above the freezing point has grown significantly. In coastal areas wintry temperatures can feel somewhat colder than they actually are due to high humidity. Unless you are allergic to the pollen of certain trees and herbs (such as birch, horse chestnut, alder, lilac, cherry tree, ash tree, rowan tree, lime tree, dandelion), the best time for travelling to central European Russia is late spring when the temperatures are pleasant and many trees are in bloom, and early and mid autumn when trees change their colour and it is not cold yet. Summer months are also good except for June in cities in central and south Russia when poplar fluff can be a nuisance, but recently the authorities of many Russian cities have taken action against the fluff by cutting and removing poplar trees and the situation has improved dramatically. Late autumn, winter months, and early spring will be enjoyable if you wear appropriate clothes and shoes. If you are interested in winter activities, in central European Russia it usually begins to snow in late autumn and snowpack usually doesn't melt away completely before early April, although spells of warm weather do occur and snow can temporarily melt away in mid-winter. Ski resorts in mountainous areas have snow throughout the winter season. Central European Russia sometimes experiences cold spells in early May when the temperature can go from +15 °C/59 °F to the freezing point for a few days. The citizens of CIS member states, most Latin American countries, Israel and South Africa, can travel in Russia for 90 days without a visa; visitors from South Korea can visit Russia for 60 days without a visa; while tourists from Bosnia and Herzegovina, Cuba, Laos, Macau, Macedonia, Mongolia, Montenegro, Serbia, Seychelles and Thailand, can visit for 30 days without a visa. Free e-visas for visiting three regions in Russia's Far East (Primorye, Sakhalin, and Kamchatka) are available for tourists from China, Japan, India, Iran, Turkey, Morocco, Mexico, and some other countries. Tourists from other countries are required to visit a Russian diplomatic mission to purchase a visa. Tourists are required to have a valid passport when crossing the Russian border. Russian visas cannot be purchased at the border. For more information see visa policy of Russia. The most popular tourist destinations in Russia are Saint Petersburg (which appeared in the list of top visited cities of Europe in 2010) and Moscow, the current and the former capitals of the country and great cultural centers, recognized as World Cities. Moscow and Saint Petersburg feature such world-renowned museums as Hermitage and Tretyakov Gallery, famous theaters including Bolshoi and Mariinsky, ornate churches such as Saint Basil's Cathedral, Cathedral of Christ the Saviour, Saint Isaac's Cathedral and Church of the Savior on Blood, impressive fortifications such as Moscow Kremlin and Peter and Paul Fortress, beautiful squares such as Red Square and Palace Square, and streets such as Tverskaya and Nevsky Prospect. Rich palaces and parks of extreme beauty are found in the former imperial residences in the suburbs of Moscow (Kolomenskoye, Tsaritsyno) and Saint Petersburg (Peterhof, Strelna, Oranienbaum, Gatchina, Pavlovsk Palace, Tsarskoye Selo). Moscow contains a great variety of impressive Soviet-era buildings along with modern skyscrapers, while Saint Petersburg, nicknamed Venice of the North, boasts its classical architecture, many rivers, channels and bridges. Nizhny Novgorod is the capital of the Volga region. It is considered to be "younger brother" of Moscow because it has its own Kremlin, the metro, the so-called "Nizhny Novgorod Arbat" (Bolshaya Pokrovskaya Street) and even a copy of the monument to Minin and Pozharsky, the original of which is in the Russian capital. Nizhny Novgorod is divided into two parts by the Oka River. The Upper City is its historical part. Here are the Kremlin, Minin and Pozharsky Square, Bolshaya Pokrovskaya and Rozhdestvenskaya streets, nightclubs, open spaces, a large number of monuments and simply historical places. The Lower City is its industrial and commercial part. Here are the Fair, the old Sormovo and Kanavino, GAZ and Sotsgorod (the so-called "city in the city"), the railway terminal, the airport and many attractions for people who want to see the styles of underground, industrial and grunge. The city is the main starting point for cruises along Volga River. From here begins shipping to Moscow and St. Petersburg. Kazan, the capital of Tatarstan, shows a unique mix of Christian Russian and Muslim Tatar cultures. The city has registered a brand The Third Capital of Russia, though a number of other major Russian cities compete for this status, including Nizhny Novgorod, Novosibirsk, Yekaterinburg and Samara, all being major cultural centers with rich history and prominent architecture. Veliky Novgorod, Pskov, Dmitrov and the cities of Golden Ring (Vladimir, Yaroslavl, Kostroma and others) have at best preserved the architecture and the spirit of ancient and medieval Rus', and also are among the main tourist destinations. Many old fortifications (typically Kremlins), monasteries and churches are scattered throughout Russia, forming its unique cultural landscape both in big cities and in remote areas. Sakha Republic proposes to use former forced labour camps as a tourist attraction. Poles visit places of Communist crimes, e.g. of the Katyn massacre and Solovetsky Islands. 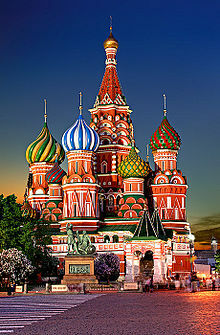 Russia enjoys a rich cultural heritage and is home to many museums. The most notable include the Tretyakov Gallery, the Kremlin Armoury and the State Historical Museum in Moscow, the Hermitage Museum, and the Russian Museum in St Petersburg, the Kazan Kremlin in Kazan, etc. Russia is also famous for having many museums related to its literary and classical music heritage, such as Yasnaya Polyana associated with Leo Tolstoy, the Mikhaylovskoye Museum Reserve associated with Alexander Pushkin, the Dostoyevsky Museum, the Tchaikovsky State House-Museum. the Rimsky-Korsakov Apartment and Museum, the Mikhail Glinka Museum in Moscow, the Sergei Rachmaninoff Estate Museum in Ivanovka, Tambov Region, the Alexander Scriabin Apartment Museum in Moscow. Museums related to Russia's military history and military hardware include the Central Museum of the Great Patriotic War on Poklonnaya Hill, the Central Museum of the Armed Forces of Russia in Moscow, the Central Museum of the Russian Air Force in Monino, Moscow Region, the Central Naval Museum in St Petersburg, the Battle of Stalingrad Museum in Volgograd. Famous museums related to science and technology include the Polytechnic Museum of Moscow, the Memorial Museum of Cosmonautics, the Museum of the Energia Rocket and Space Corporation in Korolev, Moscow Region. For security reasons, Russian ticket offices sell tickets for trains, airplanes and coaches only if you show your passport. The state-owned company Russian Railways (abbreviated as РЖД) operates most of rail services across the country and is crucial for the rail transport in Russia. High-speed rail services are available between Moscow and St Petersburg, between Moscow and Nizhny Novgorod, and between St Petersburg and Helsinki (Finland). European Russia and the Russian Far East are connected by rail via the Trans-Siberian Railway. A train trip from Moscow to Vladivostok takes 6 days. Russia uses the 1,524mm (5ft) track gauge, which is also shared by all the former Soviet republics (Estonia, Latvia, Lithuania, Belarus, Ukraine, Georgia, Armenia, Azerbaijan, Kazakhstan, Turkmenistan, Tajikistan, Uzbekistan, Kyrgyzstan), Mongolia, and is practically identical with the rail gauge of Finland. Trains crossing the border between Russia (Belarus, Ukraine) and EU member states (except the Baltic states and Finland) or between Russia and China, stop at special crossing points where each carriage is lifted for its bogies to be changed. Trains remain at crossing points for up to 2 hours. Russia's major sea ports Category:Port cities and towns in Russia include St Petersburg and Kaliningrad on the Baltic coast; Murmansk and Arkhangelsk on the Arctic coast; Vladivostok, Yuzhno-Sakhalinsk, and Petropavlovsk-Kamchatsky on the Pacific coast; Sochi, Novorossiysk, and Sevastopol on the Black Sea coast; Astrakhan on the Caspian coast. In European Russia, many river boat companies offer journeys to cities and towns on the Volga River, its tributaries and connected canals: Moscow (via the Moscow Canal), Yaroslavl, Kostroma, Nizhny Novgorod, Kazan, Saratov, Volgograd, Astrakhan. River boats from St Petersburg can travel to Staraya Ladoga and Veliky Novgorod on the Volkhov River, to Ladoga Lake, and to Moscow (via canals). Russia's busiest international airports are situated near Moscow, St Petersburg, Volgograd, Kazan, Krasnodar, Sochi, and Vladivostok. For more information see a list of airports in Russia. Moscow and Saint Petersburg are served by direct flights from most European capitals, and Moscow also has direct flights from any cities in East Asia, South Asia, Africa, the Middle East, and North America. Countries that have no direct flights to Russia include Australia, Canada and Ukraine. Major national thoroughfares are known as federal highways. For more information see Russian federal highways. Most of highways are toll-free, however recently there have opened a few toll roads. Usual roads in smaller Russian cities and in the countryside can be in bad condition. During the cold season (from November till April), when there is permanent snowpack and ice on the roads, winter tyres are mandatory. Russian cities that have a metro include Moscow, St Petersburg, Nizhny Novgorod, Novosibirsk, Samara, Yekaterinburg, Kazan. Entrances to metro stations are marked using the letter M which looks the same in the Russian and Roman alphabets. On the Moscow Metro, announcements on trains are made in Russian and English, and direction signs and maps often include English. Apart from buses and trams, trolleybuses are a very common means of overground transport in Russian cities. For more information see the list of trolleybus systems in Russia. Another widely used means of public transport is marshrutkas, or shared taxies. If you are going to visit Moscow and use public transport, see the article about the Troika card (a similar card known as Podorozhnik is used in St Petersburg). Taxi services available in major Russian cities include Yandex.Taxi, Uber (operated by Yandex.Taxi), and Gett. The warm subtropical Black Sea coast of Russia is the site for a number of popular seaside resorts such as Sochi and Tuapse, known for their shale beaches and wonderful nature. At the same time Sochi can boast a number of major ski resorts, such as Krasnaya Polyana. The city was the host of 2014 Winter Olympics. The mountains of the Northern Caucasus contain many other popular ski resorts, such as Dombay in Karachay–Cherkessia. One of the most famous natural tourist attractions of Russia is Lake Baikal, known as the Blue Eye of Siberia. This unique lake, the oldest and the deepest in the world, has crystal-clean waters and is surrounded by taiga-covered mountains. Other areas interesting for tourists include Kamchatka with its volcanoes and geysers, Karelia where many lakes and granite rocks are found, including Ruskeala Canyon, Altai with its snow-capped mountains, Tyva with its wild steppes, Republic of Adygea where Fisht Mountain is located, Chechnya Republic where Lake Kezenoyam is located. The Seven Wonders of Russia, the most popular tourist destinations chosen in a national vote in 2008, include Lake Baikal, Valley of Geysers, Manpupuner rock formations, and Mount Elbrus. 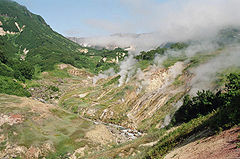 The most famous national parks and sanctuaries of Russia include the Transbaikal National Park, the Altai Nature Reserve, the Lazovsky Nature Reserve, the Kedrovaya Pad' Nature Reserve, the Samarskaya Luka National Park, the Smolenskoye Poozerye Nature Reserve, the Curonian Spit Nature Reserve, the Valdai National Park, the Baikal-Lena Nature Reserve, the Lake Ilmen Nature Reserve. Yalta – a health resort on Black Sea, where the post-World War II Yalta peace conference took place. Sevastopol – a federal city on the Black Sea coast. Simferopol – the capital of the Republic of Crimea, on the Salhir River. It is a manufacturing, commercial, and transportation centre located in a productive agricultural region. Typical souvenirs include the Matryoshka doll and other handicraft, samovars for water heating, ushanka and papaha warm hats, and fur clothes among other items. Russian vodka and caviar are among the food that attracts foreigners, along with honey, blini, pelmeni, shchi soup and other products and dishes of Russian cuisine. In 2013, 27 million international tourists arrived in Russia, generating US$11.2 billion in international tourism revenue for the country. Including domestic and international tourism, the industry directly contributed RUB860 billion to the Russian GDP and supported 966,500 jobs in the country. Natural hazards of central European Russia include hurricanes, thunderstorms, and spring floods when snowpack accumulated during the winter melts away; south Russia sometimes experiences flash floods. Earthquakes do not occur in Russia except for mountainous areas in the south (the Caucasus Mountains, the Altai Mountains) and the Pacific coast. Forest fires can occur in hot summers, especially in south Siberia. Big wild animals such as bears and wolves are common in wooded areas of Siberia and Russia's Far East, they also inhabit some remote thick forests in north-east European Russia; female bears can be especially dangerous when they have cubs, while male bears are especially dangerous if they wake up and roam in wintertime; wolves are dangerous in the winter period. The only poisonous snake in central European Russia is the viper; it mainly inhabits boggy and marshy forests but can occasionally be met in other types of forests, so high boots are advisable for forest trips and hikes. Tick-borne encephalitis is another hazard that is associated with forests and parks in Russia. Animals that are most prone to rabies are stray dogs and cats, wild foxes, wolves, hedgehogs, Raccoon dogs. A certain level of radioactive contamination (corresponding to that of central Austria and central Sweden) caused by rains following the Chernobyl disaster is found in some parts of Bryansk Region and Tula Region. High levels of industrial contamination are found in the city of Norilsk and in Chelyabinsk Region and Sverdlovsk Region. Most Russian cities are safe to visit. According to travel advice by the UK government, "most visits to Russia are trouble-free, but petty crime does happen". Most regions of Russia are safe, however travels to some areas in North Caucasus can pose a certain risk, especially parts of Chechnya and Dagestan. ^ "UNESCO World Heritage Centre – Tentative Lists". UNESCO. Retrieved 16 December 2017. ^ "Tourism Highlights 2014" (PDF). E-unwto.org. Archived from the original (PDF) on 12 January 2015. Retrieved 16 December 2017. ^ Luhn, Alec (26 March 2014). "Russia's Sakha Republic proposes 'tourist camps' on former gulag sites". The Guardian. ^ "Strona domeny katyn.pl". Katyn.pl. Archived from the original on 14 April 2016. Retrieved 16 December 2017. ^ Itaka, Biuro Podróży. "Tajemnice Wysp Sołowieckich – ITAKA". Itaka.pl. Retrieved 16 December 2017. ^ "Travel by Train 101: Everything You Need to Know About Travelling by Train in Russia". Trainsrussia.com. Retrieved 16 December 2017. ^ "Moscow Vladivostok train tickets at discount prices. Rossiya train. Free Schedules and Timetables. Take the Trans Siberian Express with us today and save". Transsiberianexpress.net. Retrieved 16 December 2017. ^ "Faster through railway border crossing – Visit Belarus!". Visitbelarus.eu. Archived from the original on 11 October 2017. Retrieved 16 December 2017. ^ "Russian River Cruises & Tours 2017, Best River Trips & Cruises to Russia (St Petersburg)". Russian-river-cruises.com. Retrieved 16 December 2017. ^ "Russia – Travel guide at Wikivoyage". En.wikivoyage.org. Retrieved 16 December 2017. ^ "Found the cheapest flights to Russia". Skyscanner.com.au. Retrieved 16 December 2017. ^ "Aeroflot Cancels Flights To Canada". HuffPost. 3 October 2014. Retrieved 16 December 2017. ^ Rainsford, Sarah (24 October 2015). "Russia and Ukraine to ban direct flights". BBC. Retrieved 16 December 2017. ^ "Russia 2018 – Fan guide – Free and toll roads". Welcome2018.com. Retrieved 16 December 2017. ^ "Winter Tyre Laws". Continental-tires.com. Retrieved 16 December 2017. ^ "Metro Systems in RUSSIA – Metro systems of the World". Google. Retrieved 16 December 2017. ^ "All metro stops in Moscow now announced in Russian and English / News / Moscow City Web Site". Mos.ru. 27 April 2017. Retrieved 16 December 2017. ^ "40 most beautiful places in Russia". Russianblogger.me. Retrieved 30 September 2015. ^ "Tourism Highlights 2013 edition" (PDF). Dtxtq4w60xqpw.cloudfront.net. Archived from the original (PDF) on 27 November 2013. Retrieved 27 November 2013. ^ "2013 Travel & Tourism Economic Impact Report Russian Federation" (PDF). Wttc.org. Archived from the original (PDF) on 2 December 2013. Retrieved 27 November 2013. ^ "Въезд иностранных граждан в РФ". Fedstat.ru. 18 October 2017. Retrieved 18 October 2017. This is a list of cities and towns in Russia with a population of over 50,000 as of the 2010 Census. These numbers are the population within the limits of the city/town proper, not the urban area or metropolitan area figures. JSC Concern VKO "Almaz-Antey" is a Russian state-owned company in the arms industry, a result of a merger of Antey Corporation and NPO Almaz, unifying some of the national military enterprises, in particular, the developers of anti-aircraft defence systems. The organisation is headquartered in Moscow and is the world's 8th-largest defence contractor measured by 2017 defence revenues. In 2017, Almaz-Antey had arms sales of $9.125 billion. Sibirjak is a passenger train which linked Berlin to some of main routes and cities of Russia. The train passed through Germany, Poland, Belarus, Russia and Kazakhstan, partly traveling on the Trans-Siberian Railway. With 5,130 km from Berlin to Novosibirsk it was the longest route of any that depart from a station within the European Union. The train service was discontinued with effect from 14 December 2013, due to lack of demand. The line was not actively promoted to potential customers by the Deutsche Bahn. Russian federal highways are the most important highways in Russia that are federal property. The following motorways are designated as federal. that are parts of the international road networks: European and Asian, identified by prefixes "E" and "AH" in the international route signs used simultaneously with the national route signs. access roads from the administrative centers of the subjects of the Russian Federation which has no highway connection with Moscow to the nearest sea and river ports and to the international borders. which interlink other federal highways. Azimut Hotels is a Russian company that manages the international hotel chain. It operates some 24 hotels. Vadim Aleksandrovich Panin is a Russian professional basketball player who plays for Zenit Saint Petersburg of the VTB United League. Standing at 2.03 m (6'8"), he plays at the small forward position. Zabeg is Russia’s first half marathon with a synchronized start. The event’s participants reside in various cities across the country. The half marathon is hosted by the League of Heroes. Paul Simon Unterberger was a Russo-German military and state leader, military governor of the Primorskaya Oblast (1888–1897), Nizhny Novgorod Governor (1897–1905), Military ataman of the Ussuri Cossack Host, Amur Governor-General (1905–1910). General Engineer.